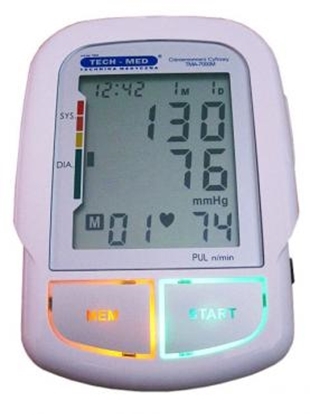 It is a talking Polish blood pressure monitor with an automatic pumping sleeve. Results are read with a reference to WHO standards. Saves 60 measurements and has a large display for easy measurement of partially sighted people.